You’ve no doubt experienced the pattern before. You start off with the best of intentions and manage to stick to a diet for a few days (or weeks). The weight starts dropping off and you’re feeling pretty awesome. But soon after, you start to loosen the restrictions, the bad habits start to creep back in and before you know it, you’re back to your old ways. Where did at all go wrong? It’s not that surprising that as many as two-thirds of those who start a diet, end up heavier than when they started. People often will try anything that promises to help them lose weight. Companies and health & fitness “experts” that promote fad diets take advantage of this fact. They appeal to people by promising quick and easy weight loss and let’s face it — not many people are prepared to put in the effort to lose fat and improve their health by making long-term changes in their eating and exercise habits. Before working with me, most of my clients have dieted repeatedly, and while each attempt usually resulted in weight loss, it wasn’t feasible long-term which caused people to gain the weight back. So what is the solution? 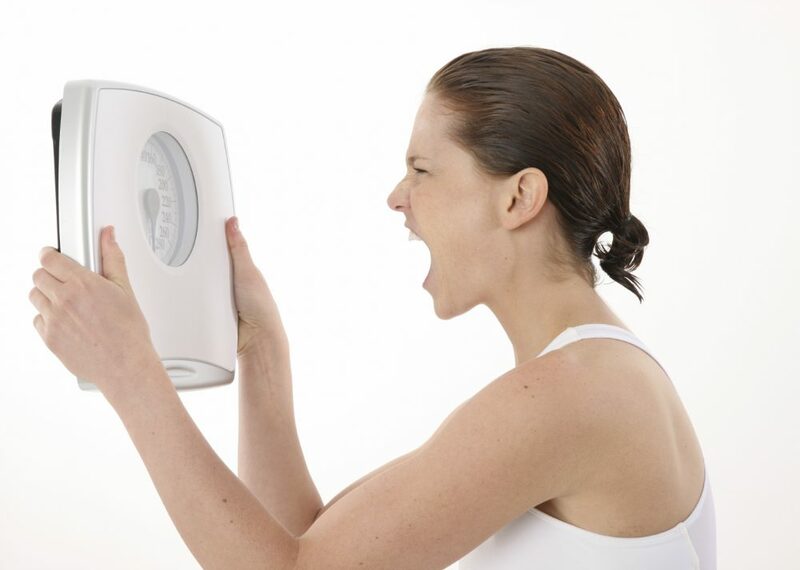 Address the reasons why your diets have failed! if you can understand why your dieting attempts have failed, you can avoid past mistakes and create a sustainable and healthy approach to nutrition. Let’s take a closer look at these. Everyone has a calorie budget, whether you’re trying to maintain your weight, lose fat or gain muscle. Unfortunately, many people seem to ignore or disregard this simple fact. They think they are doing the right thing by only eating “clean” or adding in “superfoods”, without realising that these all contain calories too (and lots of them). Knowing and adhering to your calorie budget for your goals allows you to structure a balanced diet, and it can help to prevent frustration when your results plateau. In fact, dieters who keep a daily food diary tend to lose twice as much weight as those who do not. Click HERE to calculate your calorie budget now. “I want to lose 5kg in 2 weeks”. How many times have we said this ourselves or heard someone say this? And when we don’t see the results we were expecting, we get frustrated and give up. I get it, seeing quick results is key for staying motivated, and feeling confident and inspired to stay on track, but it’s important to not to set yourself up for failure before you even begin. From my experience as a personal trainer and online coach I have realised that people are not aware of the effort it takes to change their body composition. In addition to this, they are often unrealistic about the goals they want to achieve and the time frame it takes to achieve these goals. Setting realistic weight loss goals and losing weight in a safe and effective manner will help you maintain your weight loss in the long term. There is no quick fix if you desire long term results. The foundation of successful weight loss remains a healthy, calorie controlled diet combined with exercise. For successful, long-term weight loss, you must make permanent changes to your lifestyle and create healthy habits that become your routine. Remember that dieters who lose weight slowly are much more likely to keep it off. When people start “dieting”, they immediately think that they must follow a strict diet that is purely made up of “clean” foods and eliminate all processed foods. However, experience has shown that restrictive diets which significantly reduce calories and eliminate food groups are not sustainable and lead to binge eating, cheating, and yo-yo dieting. This in turn creates feelings of guilt, generates self-punishment and negative emotions, resulting in a very unhealthy relationship with food and body image. Furthermore, restrictive diets that are extremely low in calories often don’t supply the body with the essential nutrients it needs to functions optimally. This can lead to nutrient deficiencies which can seriously harm your health. By having a deeper understanding of nutrition and how your body functions, your long-term dieting success is improved dramatically. Knowledge is power! For exclusive tips, recipes, workouts and advice, fill in your details below to be added to the list! © Copyright 2019 The Fit Pharmacist. All Rights Reserved. Here's what you need to do to win! Comment done on my Facebook or Instagram! The winners will be announced on Mother’s Day at 9am via my Instagram and Facebook! Note: Must be an Australian resident aged over 16 years. FREE DOWNLOAD! 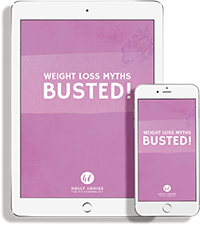 9 FAT LOSS MYTHS BUSTED! Thank you! Check your emails for your free download!